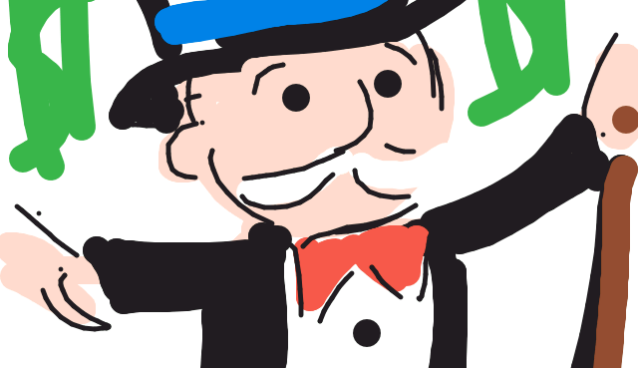 Last week marked the two-year anniversary of the sale of Draw Something (OMGPOP) to Zynga. Draw Something’s explosive 7-week ride in early 2012 culminated into a worldwide brand and was then acquired by Zynga for a rumored $183 million. In the past two years since that acquisition, QuizUp has been the next biggest asynchronous game to garner such attention, but not nearly to the degree that Draw Something did. Draw Something was able to achieve 50 million installs in 50 days vs QuizUp’s 5 million users in 50 days¹. Based on smartphone growth over the past two years, if Draw Something launched today it may have been double what it was — 100 million installs in 50 days. That’s 20x what QuizUp did. The kids appeal of Draw Something vs non-kids appeal of QuizUp. Draw Something was able to appeal to all demographics and locales, particularly the kids. QuizUp on the other hand is a trivia game, so younger kids are left out. Kids are a large audience for mobile games. Draw Something released both a free and a paid “pro” app. These apps were identical, but the pro version removed ads and gave you additional coins to spend. In the metrics above, Draw Something’s numbers are based on “installs” vs QuizUp reporting “users”. There was likely overlap of some Draw Something users installing both the free and paid app, so this isn’t an equal comparison, but I can’t imagine it’s too far off. Draw Something simultaneously launched on both Android and iOS from the start. QuizUp did not — they only launched their game on iOS. Herein lies the problem that QuizUp ran into: the word-of-mouth viral loop stopped at every single Android user — which now is a larger market share than iOS. In my opinion, that last point is the biggest reason Draw Something became a worldwide brand overnight vs QuizUp. Every instance that I spoke about QuizUp to friends, if they had an Android phone, they didn’t care about the game, because they couldn’t have it — and the message of QuizUp never carried to their circles of friends. Whereas when I spoke about Draw Something to friends, both my iPhone and Android friends would install the game, then tell their circles of friends about the game, who would tell their circles of friends, (etc) and the brand continued spreading like a weed through the world via talk, text, Twitter, Instagram, and other forms of social communication. Now this isn’t to say that QuizUp messed up. How QuizUp launched is actually the norm these days for mobile startups — Draw Something was an anomaly. Without going into all the gory technical details, the fact is that simultaneously developing a native app for both iOS and Android essentially takes twice the amount of time and effort, which typically means twice the cost. Clearly an opportunity for QuizUp to gain many more users and revenue was missed by not launching on Android alongside iOS from the start when the media and user frenzy was at its’ peak. Due to the costly, time intensive and irritating process of building a native app on both iOS and Android, most app startups will continue to lean towards selecting and building for just one of these main mobile operating systems — particularly at the beginning when cash is king, time is of the essence, and you don’t even know if you have a hit on your hands (read: product-market fit). And if that’s the case, chances are that the next app startup to reach QuizUp stardom won’t reach Draw Something super-stardom. Until an HTML5-based (hybrid) mobile app comes out that interfaces with a device’s native features (i.e. camera, accelerometer, etc. ), functions and performs at the same level as a counterpart native app, AND blows the minds of the development community, companies will continue defaulting their mentality to building native apps. Despite the headaches and time it takes to build-out simultaneous native apps, developers are 100% confident they can make them do whatever they very well please. The same hasn’t been said for HTML5 over the years. With all the advances in the past four years, I think the pump is primed for someone to build a mind-blowing HTML5-based (hybrid) mobile app that will make us all think it’s a native app. So who is going to be the superhero and show the world that it can be done? About the Author: Steve Poland is working to bring asynchronous charades to mobile with Act Away (currently fundraising). Follow him on Twitter @popo. ¹Seven weeks after launch (November 7, 2013) QuizUp had 5-million users (December 26, 2013). Six weeks later they released on the iPad (February 6, 2014) and claimed 10 million users. That’s 10 million users in 90 days.